In a couple of minutes, you make your own Tote bag with a short piece of string and some simple cuts. That’s by turning an old T-shirt into a handy recycled shoulder tote bag. Check out the video below. These days, a lot of people are carrying tote bags and using them instead of the plastic or paper bags that stores normally give out. These bags can be really valuable to have, and you should make a point of carrying one. Many stores actually give you a discount if you provide your own bag. Carrying tote bags is sort of like carrying around a special coupon. Why not save the extra money if you can? You also never know when you’ll need to put something in a separate bag. 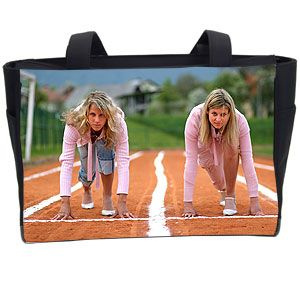 You should make sure you always have a tote with you.